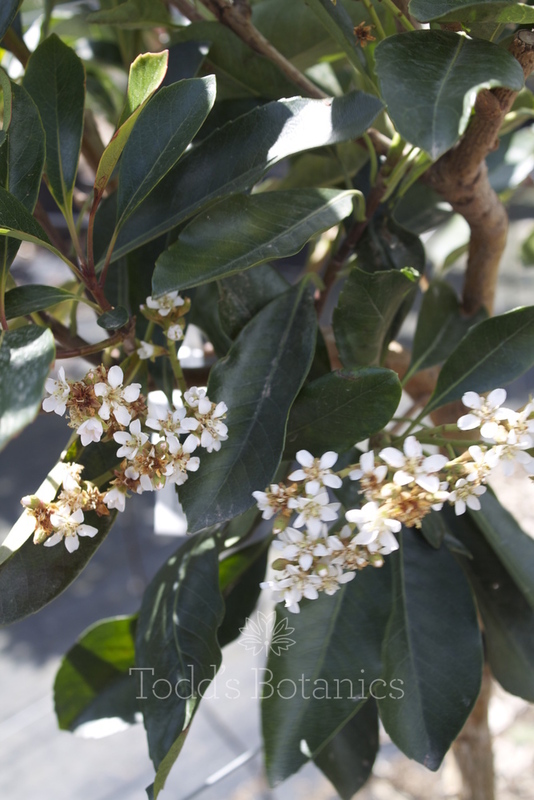 Eriobotrya 'Coppertone, (Loquat, Japanese Plum) is a small, evergreen, winter hardy tree which is easy and rewarding to grow, being not at all fussy with regards to soil. 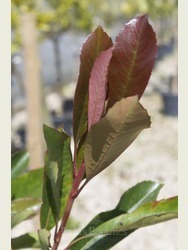 They are ideally suited to coastal plantings as their tough, leathery leaves are very salt tolerant. They are more likely to produce flowers and fruit in the more southerly regions of our country. 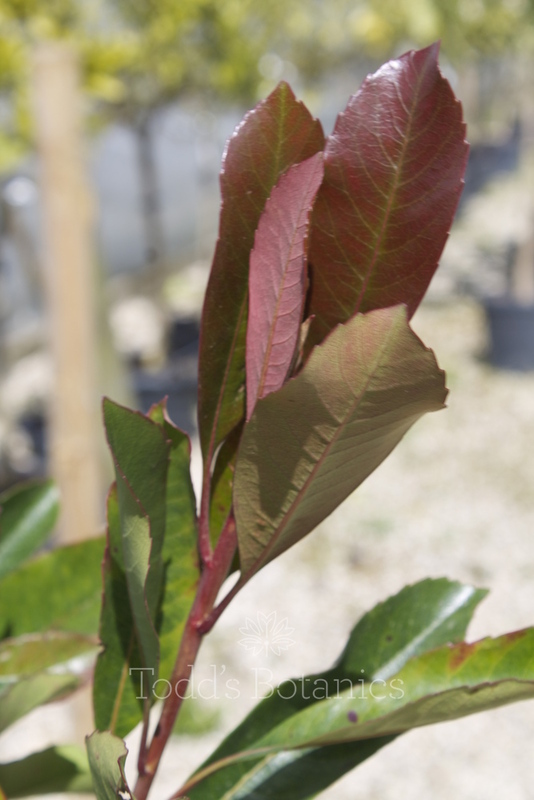 The new growth on this plant is, as its name would suggest, copper coloured which changes to dark green as the leaves mature. 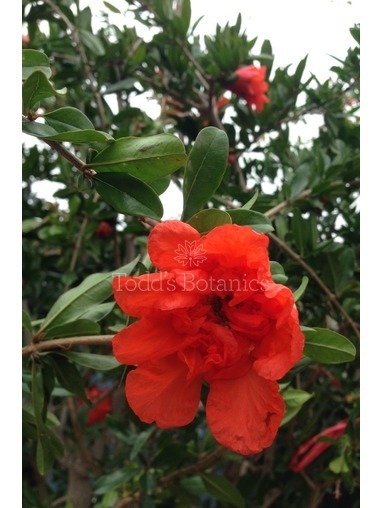 It can grow up to 5-6 metres in our climate and, left unpruned, may reach 3 metres in width. Eriobotrya japonica (Loquat, Japanese Plum) These are very easy and rewarding trees to grow, being not at all fussy with regards to soil. A sunny position with room for growth is ideal. Ultimately they may grow up to 5-6 metres in height in our climate. 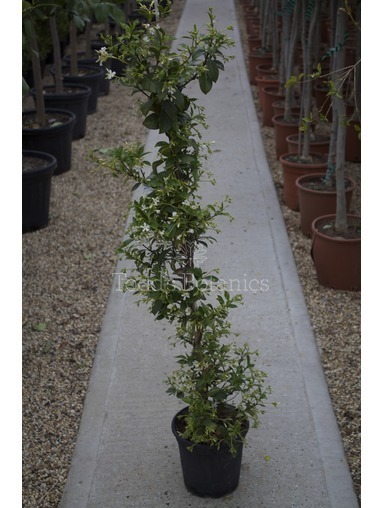 They have a bushy habit so may grow to 3 metres in width if left un-pruned. 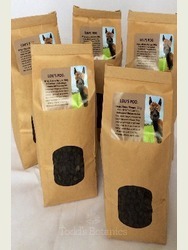 They require well-drained soil that may be acidic, neutral or alkaline. 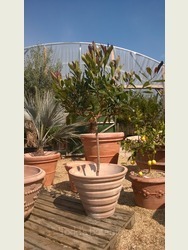 Loquats are ideally suited to coastal plantings as their tough, leathery leaves are very salt tolerant. 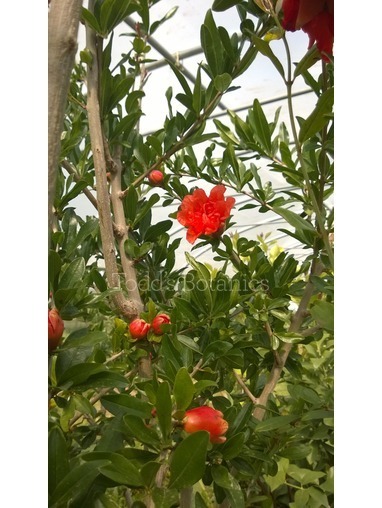 As long as their soil does not become waterlogged Loquats do not require any specific winter care. They were one of the few plants to come through two winters of less than -15 deg C completely unscathed here in Essex recently. To help promote new growth give a feed with a slow release general-purpose fertiliser around the base of the Loquat plant in spring. 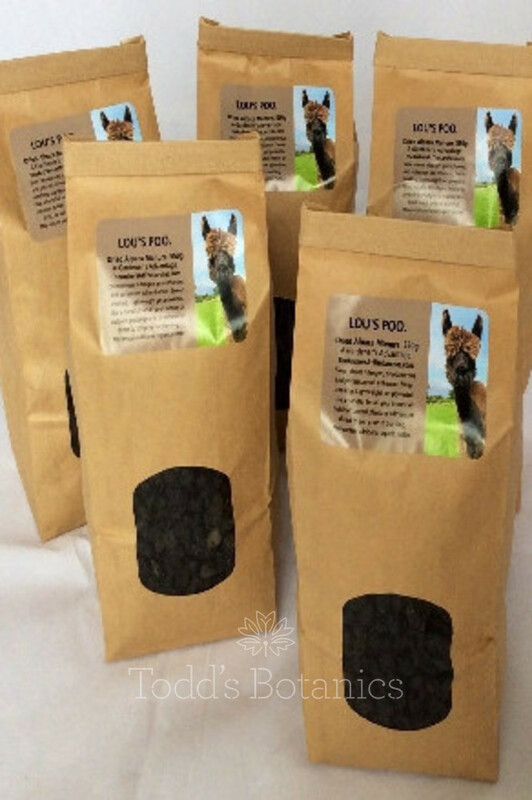 In the growing season an occasional feed with a liquid fertiliser is beneficial. Stop feeding in August as this will promote soft new growth that could be damaged in winter. It is more important to feed container planted Loquats as the nutrients are soon depleted from the soil after a growing season. 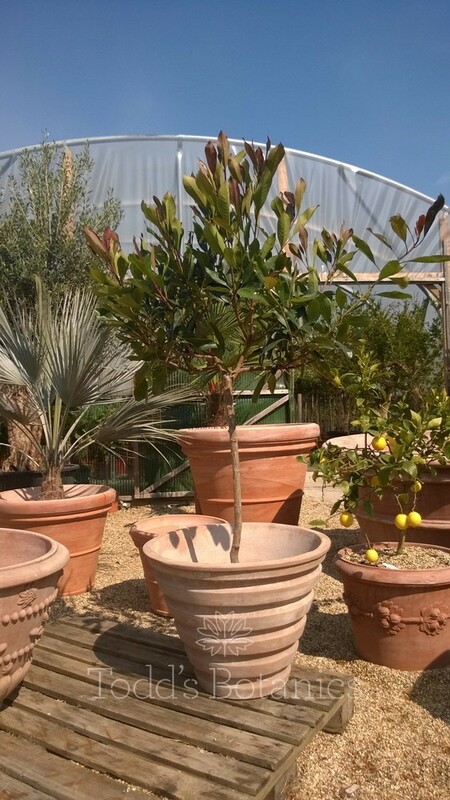 If planted into a container make sure the Loquat is well watered during the growing season as the roots cannot search for water like they do in the ground, especially so if planted in terracotta as this bakes the soil in summer. Do not allow containerised trees to dry out in summer. 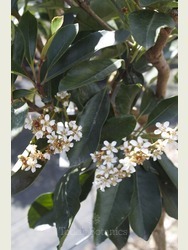 Loquats have large, tough glossy leaves that are not susceptible to pests or diseases. Generally Loquats do not require pruning unless a plant is outgrowing it’s plot. The best time to prune if really necessary is late summer or early autumn. 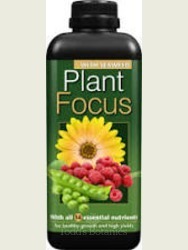 Apply a general purpose feed to the roots and mulch following pruning.